Former Gov. Pat McCrory, a Republican, urged the General Assembly not to spend any money from a fund negotiated by his Democratic successor, Roy Cooper, and the Atlantic Coast Pipeline operators, saying the process for securing the money was tainted. The interview took place a couple of hours before the House overwhelmingly passed House Bill 90, a measure — among other things — taking control of the pipeline funding and designating it for public schools in the eight counties in eastern North Carolina the pipeline would traverse. The Senate passed the measure last week. The Atlantic Coast Pipeline will move large volumes of natural gas over a 600-mile transmission line starting in West Virginia and ending in Robeson County. The four utilities operating the pipeline have secured most of the permits needed for construction and operation from the Federal Energy Regulatory Commission and the state of Virginia. The state Department of Environmental Quality announced approval of the North Carolina segment of the pipeline in late January, a few minutes before the governor’s office unveiled the pipeline fund. Cooper’s budget office called the pipeline fund a “voluntary contribution” to an escrow fund the governor would control and not related to the permit process. A host of critics, including key lawmakers, McCrory, and his environmental secretary Donald van der Vaart have called it a “slush fund” operating outside the normal budget process. Monday, Feb. 12, the chairmen of the House and Senate rules committees sent a list of 15 questions to Lee Lilley, Cooper’s legislative liaison and a former lobbyist for Dominion Energy, one of the pipeline’s operators. The questions asked for details about the negotiations for the fund. That same day, McCrory called for an ethics investigation of the officials who negotiated the deal. He repeated his concerns in the WPTF interview, asking if the pipeline permits and the funding arrangement were negotiated by the same people at the same time. Who was involved? What was discussed? Was the transaction truly voluntary? “This sets a bad precedent for all governments, county and city. [Local governments] will be asking for ‘voluntary payments’ for permit approval. 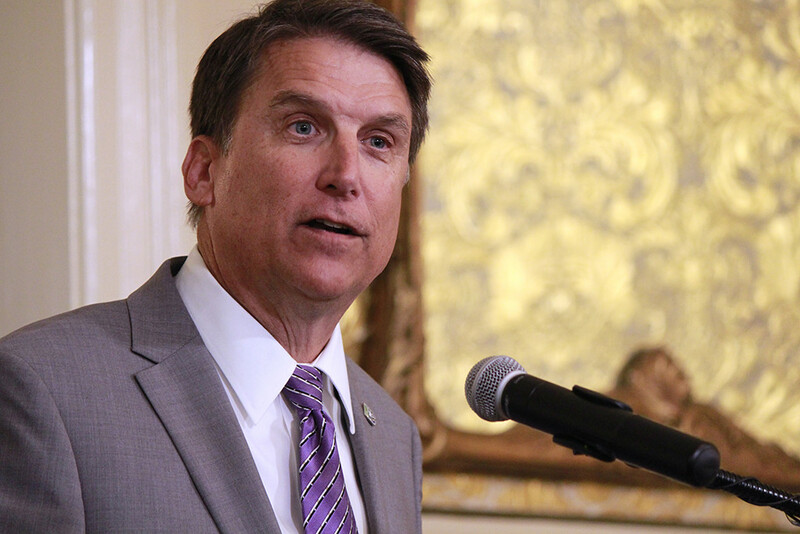 You shouldn’t ask for one dollar, much less $57 million.” McCrory said. “It’s nice to say this money is going to be directed toward education now. But if you accept bad money, that doesn’t mean that you should spend it on good causes,” he said.